School is right around the corner, and that means back to school shopping! Being a student during the Digital Age requires a trusty computer. So, picking the right computer for school should be at the top of your checklist. We are here to help with Azulle’s mini PC guide. If you’re a “on-the-go” type of student, then the Access3 mini PC stick is just what you need. This palm-sized device can slip right into your backpack, letting you take your assignments with you wherever you go. Plug in your Access3 to any HDMI screen to view and work on your files and projects. Once all of your work is done, feel free to kick back and relax by watching movies and shows on your favorite apps, and visiting your favorite sites on the web. Because who said it has to be all work and no play? No desk area is complete without a reliable desktop. A desktop option to consider is our Inspire Mini PC Barebone System. This fanless mini PC comes as a customizable unit waiting to be built by you. Add in your choice of memory, storage and operating system to compute the way you want to this school year with our student mini computers. The best way to shop for your Inspire for a back to school bargain is by visiting our partner Simply NUC. Simply NUC offers a variety of RAM, Storage and OS options to choose from. Select your desired components to be added to an Inspire, and SimplyNUC will build it out for you and deliver it fully configured to your door. All you will need to do is plug it in and get to studying! 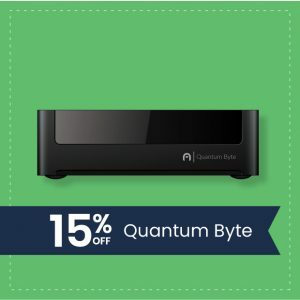 Other mini PC desktops to consider are the Byte Plus or the Quantum Byte. Use your Byte desktop to research online, visit your student portable, use Microsoft 360 applications like Word and Powerpoint for projects and more. 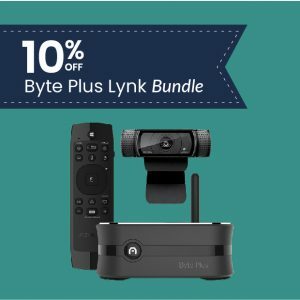 You can even pair your Byte with other accessories, like a webcam to maximize your studies. Webcamming is a great tool during the school year, as you can connect with your classmates virtually for online study sessions during exam weeks. If you’re thinking of picking up an online class – webcamming may also be needed to connect to your e-lectures. 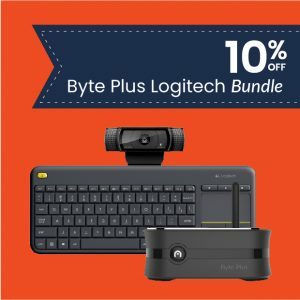 Try our back to school tech this fall!